I'm about to admit something I probably shouldn't: I'm a runner who doesn't always like running. Shocking, right? Runners are supposed to enjoy it, right? Wrong. In fact, quite often when I'm out there on my own training for a long-distance race, I really dislike it. It's only with friends that I really get in my groove and love running. So with that in mind—and next year's London Marathon training plan already looming—I decided to speak to the one woman I always turn to for running inspiration, Nike coach and personal trainer Rebecca Gentry. If there's one thing Becs loves, it's running. Take one scroll of her Instagram and you'll see image after image of post-run highs, midrun inspiration and even the lows, which are just as important when factoring running into your everyday life. I was lucky enough to start my running journey with her, and it was through this that I really started to enjoy pacing the pavement—so who better to ask for advice on how to enjoy lacing up and getting out there? Keep scrolling to see what Gentry recommends to start enjoying running. BYRDIE UK: So let's start with the question everyone is asking—how can you learn to enjoy running? REBECCA GENTRY: Take all the pressure off yourself. Running is an extension of walking, which most of us do on a daily basis, so in order to make running more enjoyable, we often need to take a step back mentally from pushing ourselves to hit an unattainable goal such as a distance or a speed. BYRDIE UK: But what if you really, really hate it? Should you force it? RG: Forcing anyone generally has the opposite effect. I find it best to associate running with something you care about. Think about being the fastest mum at your child's sports day, or how much quicker your sessions would be over if you could run a little faster. But it's the runner's high that often gets most people in the end and makes them enjoy it, so run for that! BYRDIE UK: Would you suggest setting goals, or just getting out there and running? RG: Most people don't want to set goals from the start, as they don't want to let themselves down. However, a goal is a motivation, and I believe that even if on your first run (or getting back out there after a break) setting a goal like "run for 10 minutes without stopping" can be helpful. It's something to focus your mind on, and you don't need to shout about it—goals can just be for you and your mind. BYRDIE UK: Say you're training for a race and you start to hate running or feel unmotivated, what can you do? RG: Find a friend or a club to run with. You can't not go, because you'll be letting someone down. And treat your runs as you would an appointment—mark them in your diary so you can factor it into your day. BYRDIE UK: What preparation should you be doing when not running to ensure training is more enjoyable? RG: Strength training is key here; it helps to take away the fear and pain. Plus, it means you're less likely to get injured when actually running. I'd recommend hitting the gym two to three times a week. Make sure you're lifting weights and stretching, and always factor in time for a cooldown. Byrdie UK: And what about diet? Is there anything we should be eating to help with our runs? 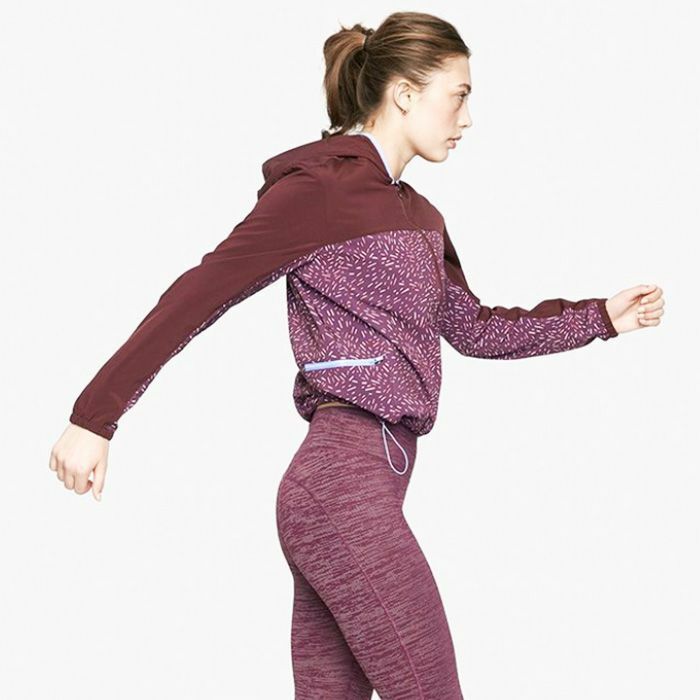 BYRDIE UK: How often should we be running to start enjoying it more? RG: This all depends on the individual. Some may start to enjoy it more after only one run a week; others may need to get out there twice. The important thing to remember is that you should only go for a run when you feel like it—when your mind and body feel strong and you know you can run at a steady pace. That might be every day, or it could be once a week: Both are equally great, and you'll still get that runner's high! BYRDIE UK: And finally, let's talk music. Would you advise using a run-per-beat playlist or just creating your own incredible one to get you through? RG: The Nike Run Club playlists are great, as they tailor the tracks to specific types of running workouts. However, nothing beats running to tracks you love and make you feel awesome wherever you are. Listen to songs that give you the power to push on and let you zone out; that's a great way to enjoy any run. If you want to start running more, here at Byrdie HQ, we're loving Nike's Zoom Fly Trainers (£130). They're extremely comfortable and are designed to help increase your speed—what's not to like?